In Daimler Trucks North America’s constant quest to improve both service and customer experience in new and innovative ways, the Virtual Technician remote diagnostic service was installed on its 100,000th truck since its launch back in April of 2011. And how exactly does the Virtual Technician technology help drivers and fleet owners on a day-to-day basis? Read on to find out more. Usually when your check engine light switches on, you have to guess at what has gone wrong before taking your truck in to your mechanic. With Virtual Technician, however, the guess work and waiting is eliminated. Virtual Technician checks on engine faults and lets drivers and fleet owners gain a better idea of what issues their truck is experiencing before they even pull into the parking lot of the shop. 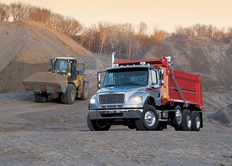 VT, as it’s known, was first launched in the Cascadia model, but has now become a standard installation on the majority of Freightliner and Western Star vehicles on the market. Not only does the data provided by Virtual Technician keep drivers aware of any impending problems, but it makes for an overall safer driving experience out there on the road. Improving the functionality of trucks also means saving money on expensive, last-minute repairs, a benefit any fleet owner can surely agree with. Interested in learning more about Virtual Technician or other Daimler Truck technologies? Check back in with us here at Baltimore Freightliner-Western Star for the latest in trucking news. Is it Christmas already?! It certainly felt like it when we heard Western Star’s latest announcement: the unveiling of their new highway tractor 5700XE. According to the latest issue of Transport Topics magazine, the new truck was on display for executives late last week at a presentation outside of Las Vegas, and it will be available to order starting this fall. It is projected to be in full production by the beginning of next July. Before we get into the details of the performance of the 5700XE, we should really talk about the exceptional new design. 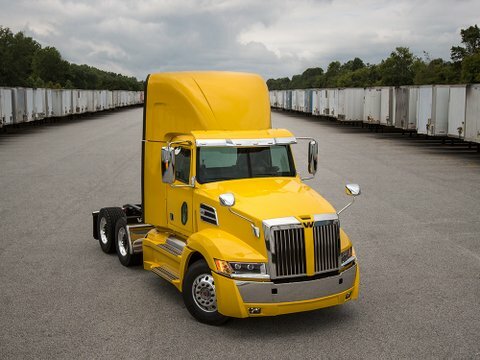 Per an article from Successful Dealer, the 5700XE is sleeker, more sculpted, and more aerodynamic than other trucks on the road, lending it a revolutionary new look that is sure to make an eye-catching addition to any fleet. The most newsworthy note about the 5700XE, however, is its fuel efficiency. The XE stands for “extreme efficiency,” which essentially says it all. 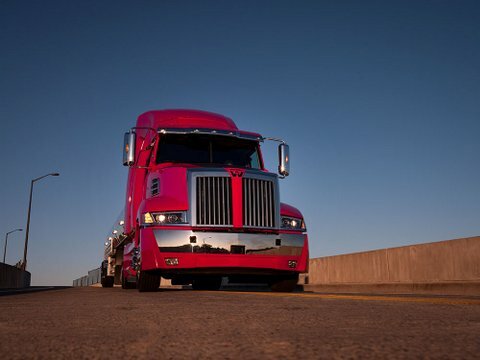 The 5700XE has already earned the EPA emissions credits and ranked in the strictest category for Greenhouse Gas emissions, and it has the most fuel efficient powertrain available. Altogether, we’d say that this makes for the perfect investment for fleet owners looking to have a great-looking truck with even better efficiency and mileage. 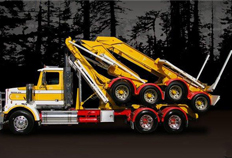 Are you looking to get your hands on the latest Western Star 5700XE? Stay tuned in to find out when ordering officially launches, and don’t forget to get in touch with Baltimore Freightliner-Western Star to stay up-to-date! Have Good Luck with Truck Bucks from DTNA! Daimler Trucks North America has reached a major milestone (though we’re not talking literal miles this time!) for their innovation and exciting Truck Bucks program. The program itself is not even a year old- DTNA launched it back in March at the Mid-America Trucking Show- but it has already reached a considerable number of members: 10,000 according to the latest Aftermarket Update newsletter! So what exactly is the Truck Bucks program, and how can your business come to benefit from it? Read on to find out more. The Truck Bucks program was designed to benefit both drivers and fleet owners. Card-holding members of Truck Bucks are able to get discounts on everything from new parts to maintenance services from those Freightliner and Western Star locations that are participating in the program. DTNA wanted to ensure that members had a user-friendly experience with Truck Bucks, and so they developed mytruckbucks.com for members to view the exclusive discounts and specials being offered, as well as keep track of product inventories at their favorite DTNA locations. How Can I Sign Up for Truck Bucks? Truck Bucks sign-up is easy: both in-store and online, people have the opportunity to register for this amazing deal. The system is easy for members to manage on their own; instead of keeping track of individual coupons or punch cards, the single Truck Bucks membership card presented at check-out guarantees them all the deductions and bonuses of the program. Check Truck Bucks out at your favorite Freightliner-Western Star location today! When it comes to shipping and transporting certain things for your business, cramming everything into a single van may not cut it. On the flip-side, however, a fully-loaded tractor-trailer might be a little oversized for the task at hand. In such situations, Baltimore Freightliner-Western Star recommends thinking of finding that perfect place in the middle: a medium-duty truck. What are medium-duty trucks used for, and how can you find the perfect one to enhance your business? Read on to find out more! Medium-duty trucks can be used for a number of different applications, depending on the needs of your company. You’ll find that many who focus on landscaping, deliveries, or smaller-scale moving use medium-duty trucks. The main benefit of these kinds of trucks, which typically fall into Classes 4, 5, and 6, is that they have the strength to contend with heavier loads and more demanding practices while still remaining a manageable and affordable size model for the average business owner. Knowing if a medium-duty truck is right for you depends on knowing the weight and size of your average hauls. A load larger than 20,000 pounds will require a heavy-duty truck, but for smaller hauls and businesses a medium-duty truck is often the ideal fit. Are you worried about how much you will get out of your investment? Most medium-duty trucks are not even considered old until they’ve reached 500,000 miles and will last you for years to come. And for regular maintenance and body work, Baltimore Freightliner-Western Star is here to help! Are you thinking of purchasing a medium-duty truck or need one serviced? Call on us today for more information.